● You can choose from three different packages that allow you to watch your favorite team’s games, watch every game of the season, or a season pass including the playoffs and Super Bowl. ● By choosing the Season Plus package, you can get access to every game from every team, the Super Bowl, Playoffs, NFL Live Events and Off-season features at $199.99. You can compare the different packages and their features in the Compare Plans page. 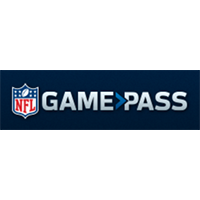 NFL Game Pass is an online tool that football fans can take advantage of in order to see all of their favorite games in one convenient location. You can access the games from any mobile device ranging from a smart TV to a smartphone. All you have to do is sign up for a subscription and it will give you access to 256 regular season games and all of the preseason games. The service is entirely streamed in HD so you can get a clear picture from any device. If you're interested in trying NFL Game Pass before you buy it, you can take advantage of the free trial that you can sign up for on their home page. For most up to date offers check out NFL Game Pass on Facebook and Twitter or contact NFL Game Pass Support for any questions.